The GSPCA would like to say a huge thank you to Special Branch for their very kind donation of wood chip to the GSPCA today. Wood chip is used around the Animal Shelter for path ways and animal pens and with many of our enclosures extremely full the need has been more so this Spring than in previous years. 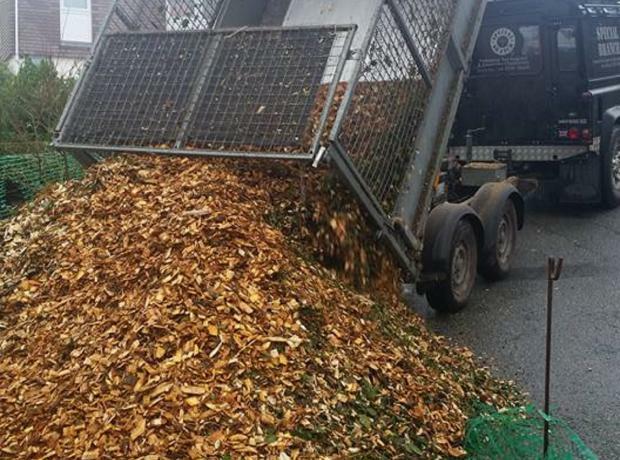 Lorna Prince GSPCA Welfare Manager said "Thank you to Simon and Special Branch for the very kind donation of wood chip today." Steve Byrne GSPCA Manager said "It was so very kind of Special Branch to donate a fantastic load of wood chip that we can use around site."